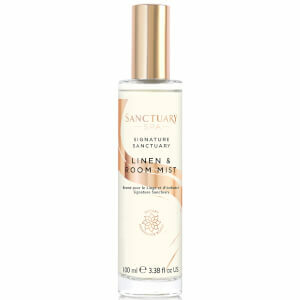 Imbue the air in your personal sanctuary with the calming aromas encapsulated within the Linen & Room Spray from Sanctuary Spa. Infused with the brand’s signature floriental fragrance, the scented mist opens with a sparkling Citrus accord and an elegant floral heart that contrasts beautifully with its musky Oriental base. Simply spritz the fine mist around your room for an irresistible olfactory experience that relaxes the mind and awakens the senses. 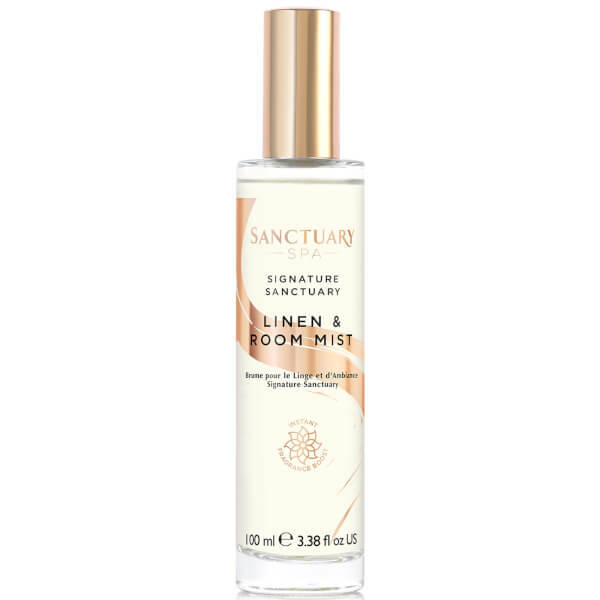 Spritz a fine mist around your rooom to leave it beautifully fragranced with our delicate, classic floriental fragrance. Contains: Hexyl Cinnamal, Limonene, Linalool, Ethanol.